HydroTops Root Stimulator combines various bio-enhancers, such as hormones, co-enzymes, silicon, fulvic and humic acids and a host of vitamins, all-in-one carefully blended feed, allowing for easy assimilation and rapid effect. 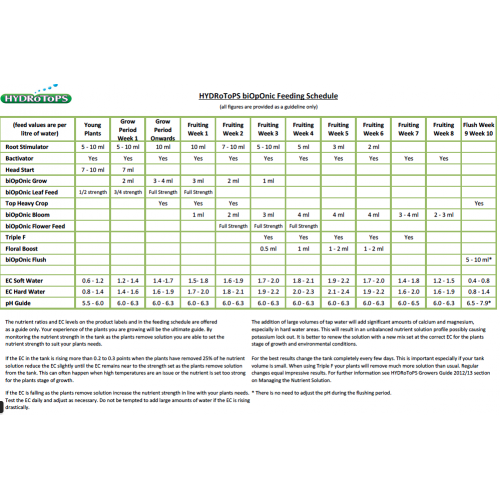 The development of an advanced root system is key to the best possible yields, by adding HydroTops Root Stimulator to your nutrient program you will see an immediate stimulation in the root zone, resulting in a boost of growth and vigour in your crop. The result is a thicker root mass with a greater ability to uptake water, nutrients and oxygen from the nutrient solution or media. 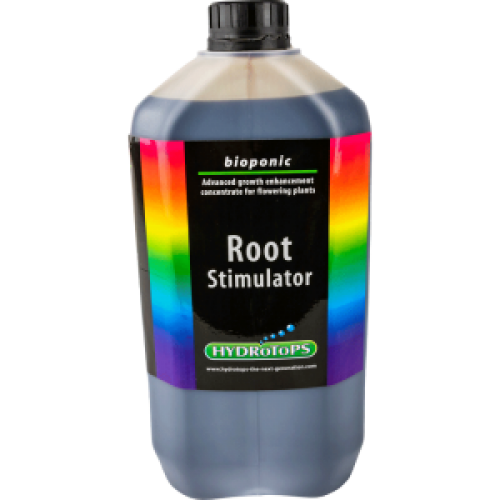 As an added bonus, HydroTops Root Stimulator also increases resistance to unfavourable environmental factors such as high or low temperatures, making root stimulator even more useful when outside factors create indoors problems. 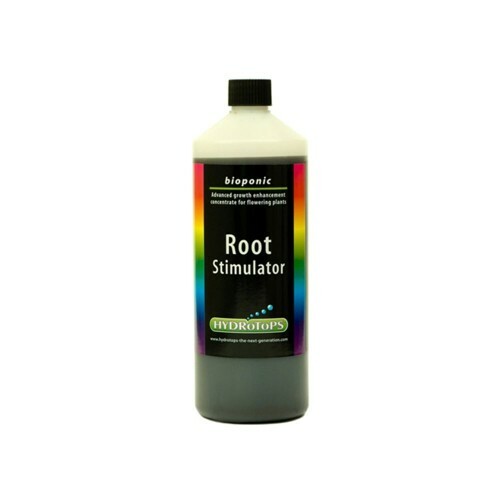 Use Hydrotops Root Stimulator at 5ml-10ml per litre in the seedling / propagation stage and at 10-15ml per litre when in the vegetative stage. Continue to use it at 5-10ml per litre into the first 3-4 weeks of flower before discontinuing thereafter.